"Working together to protect, maintain and enhance the opportunity to hunt, fish and enjoy the Colorado Outdoors"
Hello! Welcome to the Colorado Outfitters Association. We began as a merger between The Outfitters Professional Society (TOPS) and the Colorado Guides and Outfitters Association back in the 1980's. Several of our Members belonged to one of these Associations and still outfit today, passing down their knowledge and skills to the next generation. 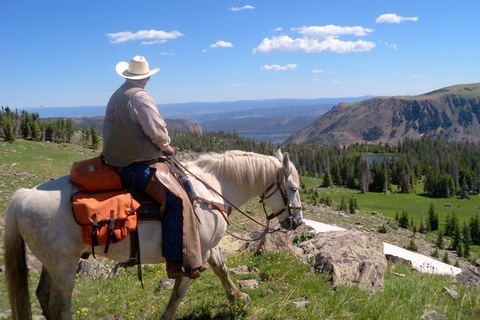 Our Members take clients into the back country of Colorado to hunt, fish, camp and enjoy the pristine beauty of our mountains. Seeing an amazing sunset from the back of a horse, catching a beautiful trout out of a cold mountain stream, listening to Outfitter stories around a campfire, glassing your first elk--these are memories you will hold forever in your hearts. Colorado Outfitters Association members can make them happen.